Massage the interested zone until complete absorption of the product. The cold sensation felt at the treated areas is as a result of the cryogenic action of the gel that enhances the absorption of the ingredients. 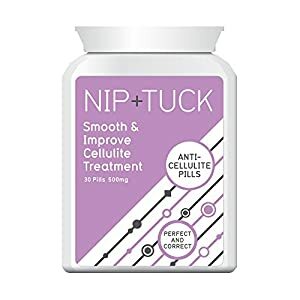 A continuous use will assist one to obtain significant results within 3-4 weeks, depending at the extent of the aesthetic imperfection and one’s personal reaction to the product. Freeze your cellulite away with Altadrine fat burner cryogel. Treat the problems of cellulite and water-retention by burning the fat and activating the microcirculation. Some areas of the body tend to accumulate fat (abdomen, hips, thighs, buttocks) and this is where Altadrine cryogel acts. KEY POINTS The cold effect of the cryogel is very effective when applied and the cold sensation is felt instantly and for a very long time when in comparison to competitors Very good value for money A 2 in 1 remedy to treat the problems of cellulite and water-retention Extracts enhancing microcirculation, diminishing the circumference of the thighs and cutting out muscles. The anti cellulite activator + Pure Caffeine + citrus aurantium, to fortify burning and destock of fat deposits. Stem cells capable of stimulating the secretion of the protein that burns and destocks fat. Efficacy Clinically Tested: Imperfections caused by cellulite visibly reduced. The silhouette is significantly refined; Altadrine Gel cuts out muscles.